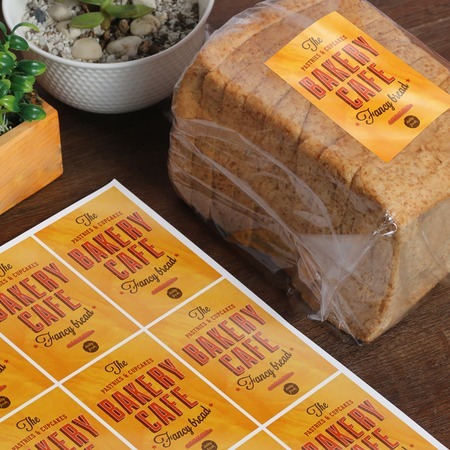 Custom sticker sheet printing combines the best things about cut-to-size and roll stickers. Just like roll stickers, you get to peel off and apply stickers in a continuous and efficient manner that can be stored neatly in a stack just as you would cut-to-size stickers. Our sheet stickers are kiss cut for easy peeling and work great as address or mailing stickers, food labels, or as product tags. Sticker sheets are printed 8.5” x 11” in size. The number of stickers per sheet depends on how big your stickers need to be. We have different sticker sizes to pick from: 2.685" x 1" (30 per sheet), 3.5" x 2" (12 per sheet), 4" x 2" (10 per sheet), 4" x 3.33" (6 per sheet), and 5" x 4" (4 per sheet). Simply select the sticker size you need from our dropdown menu as well as the number of sheets you’ll need to get an idea how many stickers will be printed for you. You can print sticker sheets easily by uploading your file. Our team will provide a free file check. If you need it, you’ll be sent a proof of your file to verify that everything is in order. Sticker sheet printing can be done and ready for shipping ias fast as one business day.